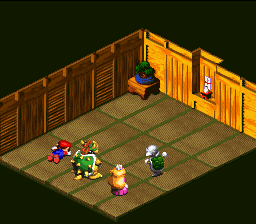 Terrapunch is a physical attack used by Jagger and Terra Cotta in the game Super Mario RPG: Legend of the Seven Stars. The attack involves Jagger lining up in front of a single party member and ramming into them. This page was last edited on April 14, 2018, at 08:33.